Cellulose is made from recycled wood fiber, such as newsprint and other fibrous paper products. The finely shredded fibrous material may be compressed tightly into closed building cavities, such as exterior walls to gain insulation value and restrict air-flow, or in interior walls to provide an effective sound inhibitor. 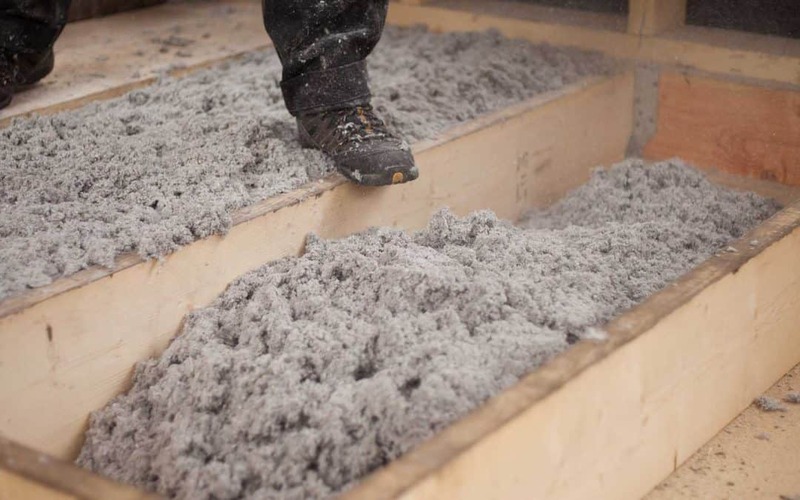 At an R value of 3.6 to 3.8 per inch, loosely-blown cellulose is a very effective and economical option to increase the insulation value on an empty wall/floor or on a wall/floor which already has some existing insulation. Diversified Energy specifically installs Applegate Stabilized name brand cellulose due to the product’s ability to deter dust and all types of self-grooming insects. With a self-contained dry adhesive, Applegate Stabilized Insulation is designed to be damp-sprayed onto walls in order to completely fill and insulate them. As both a Class-1 Fire Retardant and BurnBarrier™ fire retardant, Applegate also provides an excellent source of fire protection. Applegate Stabilized Cellulose Insulation can even reduce your utility bill by up to 40% because it greatly reduces the flow of heat and amount of air which can enter your home. Cellulose insulation provides a happy medium between fiberglass and spray foam insulation and is considered an excellent “bang for your buck” by many who have installed it. Many of our clients have used cellulose in combination with spray foam to create a safe, healthy, energy efficient home at a reasonable price.